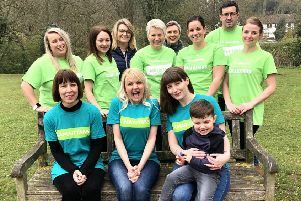 A Louth woman will take on the London Marathon to raise cash for a children’s charity - and she will be holding a special coffee morning next week to raise extra funds. Charlie Watkins, 23, will hold the coffee morning at the Royal British Legion Hall in Northgate between 9.30am and 12.30pm on Wednesday November 28. Charlie, a former Monk’s Dyke Tennyson College pupil, is raising money for ‘Phab’, a small national charity that supports young people and adults with and without disabilities to make more of life together, and creating opportunities for disabled people to enjoy the same activities and challenges alongside, those without a disability. Charlie said: “Phab is an amazing charity that changes the lives of disabled young people by organising inclusive living experiences and weekends away. “This provides respite for their parents/carers, and means the kids get to have fun with their friends in a safe environment. Go along to the coffee morning, or donate online at: www.justgiving.com/fundraising/char-runs.